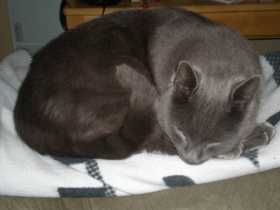 Color Gray (silver to bluish) Medium to large size cat - about 12 pounds. Neutered, 8 years old. Short hair but full thick coat due to cold weather.